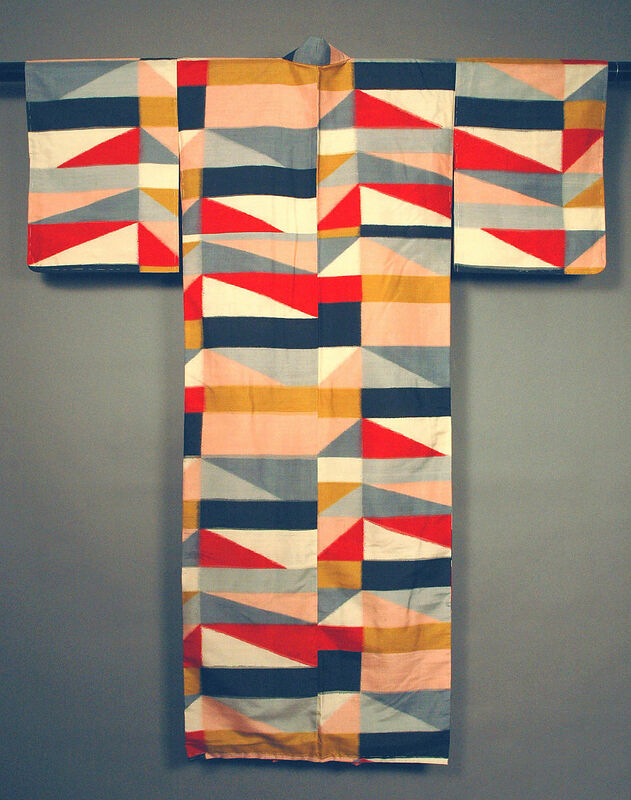 The design of this kimono reflects an influence of Western art in Japan. The kimono is held by the Met Museum and is classified as Costume. The squares and rectangles are evocative of abstract/non-representational painting. Having long been interested in the Japanese aesthetic I am drawn to kimono designs, especially those which reflect an abstract design.